Andrea Doven was born and raised in New York City. Before starting her career as an actress, she was accepted into the prestigious performing arts program at SUNY Purchase; just outside of New York City. 3,500 actors applied, with only 30 of the best being given places. After completion, she was proud to have achieved her bachelors degree in performing arts. After college, Andrea founded and produced theater in upstate New York and went on to help run one of the top ten catering companies in New York City. For the next 19 years, Andrea was the Executive Director of Odin Productions, a company that is owned by Tom Cruise. 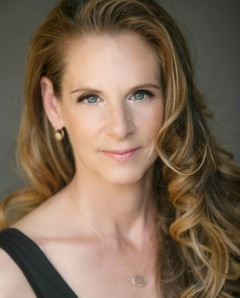 Andrea ran the day-to-day operation of Cruise’s company, providing logistical support for the artists/producers engaged in film productions around the world. This involved carrying out an abundance of international travel, project management, location establishment, hiring and management of all personnel and daily coordination with all business management and PR professionals. In 2002, Andrea became a founding board member for the not-for-profit organization, Hollywood Education and Literacy Project (H.E.L.P.). Andrea produced many fundraisers for H.E.L.P, which ultimately raised nearly one million dollars. Andrea came to SCS, Inc. in 2005, as Vice President of Human Resources. At that time, SCS, Inc. was a growing, Gold Certified Microsoft partner specializing in ERP business software (Enterprise Resource Planning). ERP software implementation is one of the most technically demanding challenges in the software field. ERP personnel demands are unique, requiring not only technically astute individuals but also the ability to communicate, lead, and manage other professionals. Over ten years, Andrea built the premier Microsoft ERP partner in the United States as SCS brought on and serviced clients including, just to name a few; Viacom, Warner Bros., Sony Music, Sunkist, Tillamook Cheese, and Seventh Generation. SCS grew to be the largest ERP company in the United States, specializing in its specific Microsoft ERP software. Andrea found, hired, and built the largest technical team of this type in the country. SCS’s meteoric rise was in no small part due to Andrea’s recruitment, training, and human resource management. Hiring and training excellent talent and creating effective organizational establishments, became her area of expertise and niche. She is especially sought after for her recruiting abilities, but has been described as someone who can really make the trains run in any given situation or industry. Andrea is currently consulting, which allows her to help a wider variety of entrepreneurs in technology, entertainment, and many other industries. Andrea has been happily married to film producer, Michael Doven, for over 20 years and has an 11-year-old son.